Bangladesh is a densely-populated country with over 160 million people. Universal access to safe surgery and anaesthesia is a significant challenge. But this week we’re celebrating the kind of change that can come from a densely-populated room, packed with people determined to make a difference: our latest Lifebox training workshop. 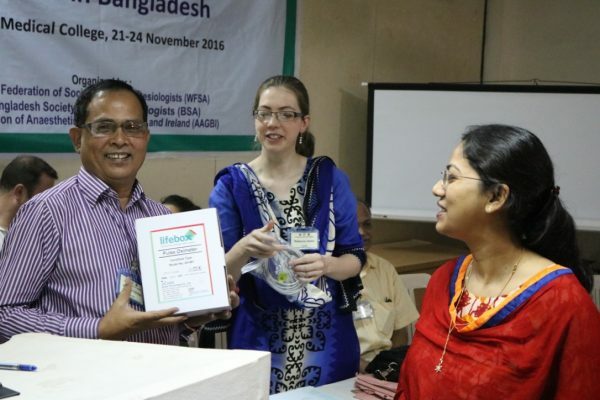 Last November in Khulna, the third-largest city in Bangladesh, we set out to train a maximum of 24 doctors. Thanks to incredible work from our faculty, three from Dhaka and two from the U.K., we ended up delivering essential education and some oximeters to a classroom of 34. 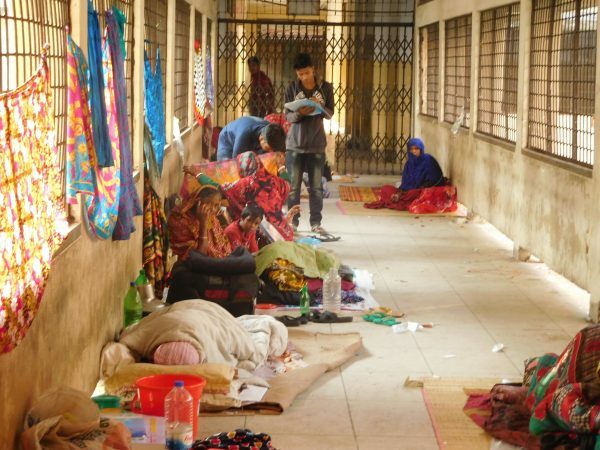 We’ll be sharing photos and stories from the workshop and #SaferSurgeryBangladesh all week – and this insightful interview from visiting trainer, Dr Rebecca Jones. 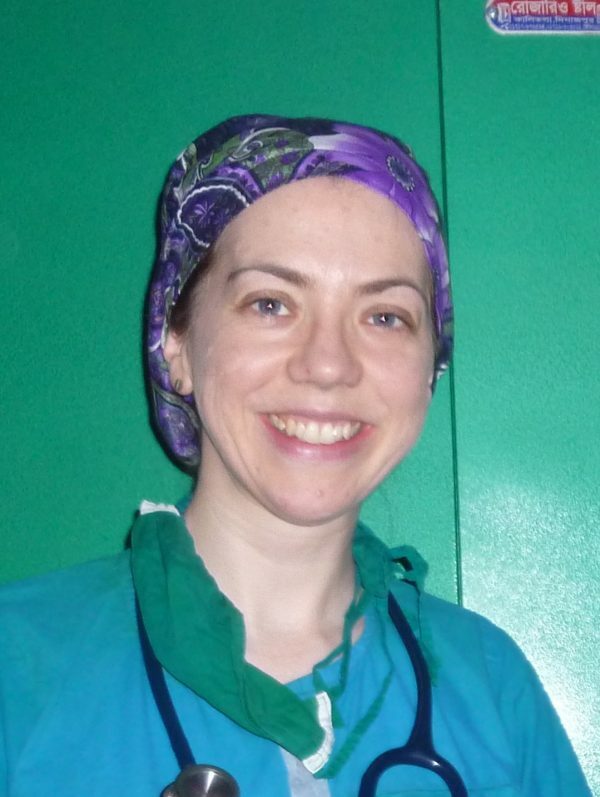 Rebecca has been supporting safer anaesthesia care and education in Bangladesh for several years. 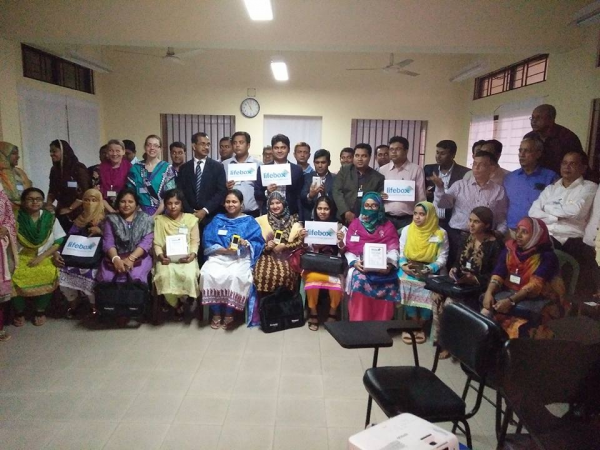 In Khulna to lead a SAFE Obstetrics course (an initiative of our co-founders the AAGBI and the WFSA, which Lifebox often teams up with), we were extremely grateful for her time and insight. What are the kinds of safety challenges that anesthesia providers in Bangladesh face? Financial pressures. Government pressures. Shortages. Shortages of anaesthetists, partly due to the general shortage of doctors – and also perception that the role is inferior to that of a surgeon. Often one anaesthetist has to look after two anaesthetised patients in an operating room – sometimes more. Shortages of nurses to care for patients both pre-and post-operatively – again it’s a field fraught with hierarchy and unsociable hours when many nurses also have families to care for. Shortages of drugs – unless patients pay for them. Shortages of oxygen cylinders, especially if there’s a transport strike. Many smaller hospitals have no mains oxygen supply, and poor electrical supply. Poor handwashing facilities, lack of defibrillators, shortages of equipment, leading to re-use of items which may be difficult to clean, like suction tubing. The situation is complicated, but the impact can be immediate. I have heard of a death from hypoxic brain injury in a young patient due to the oxygen cylinder running out during surgery. A friend of the patient told me this story. What was your favorite experience from the workshop? Giving out the oximeters – as well as the ‘practical use of oximetry’ session. Most anaesthetists monitor patients with pulse check, manual BP, and maybe a precordial stethoscope. Pulse oximeters are known about but as there is less than one per operating theatre; they are not usually used. One of the anaesthetists on the course asked how he could tell that a patient lacked oxygen except when their mucous membranes turned blue. He wasn’t expecting to get a pulse oximeter, but we were able to give him one of the Lifebox ones. He seemed very surprised at receiving it. What difference will the Lifebox oximeters and training make to the providers? They’ll use it to ensure that patients remain well-oxygenated and treat hypoxia early. It will also ensure providers are aware of when oxygen cylinders run out. The Lifebox oximeters were helpfully distributed with adult, paeds and neonatal probes which will make them versatile. As above – potentially life-saving. Patient safety will be greatly enhanced under anaesthesia. It would be great if there were more oximeters for use on the wards too. What are your plans for further activities in Bangladesh in 2017? I hope to do a further SAFE Obstetric anaesthesia course (likely to be in Sylhet in the north east) and another Lifebox course there. Possibly also a SAFE Paediatrics course with the help of some of the faculty who were on those courses in 2016. It would be great if we could get further oximeters to take with us. Rebecca Jones is a Locum Anaesthetic Consultant at the Bristol Royal Infirmary, who’s interested in anaesthesia in low-resource setting countries. To support safer surgical care, click here.